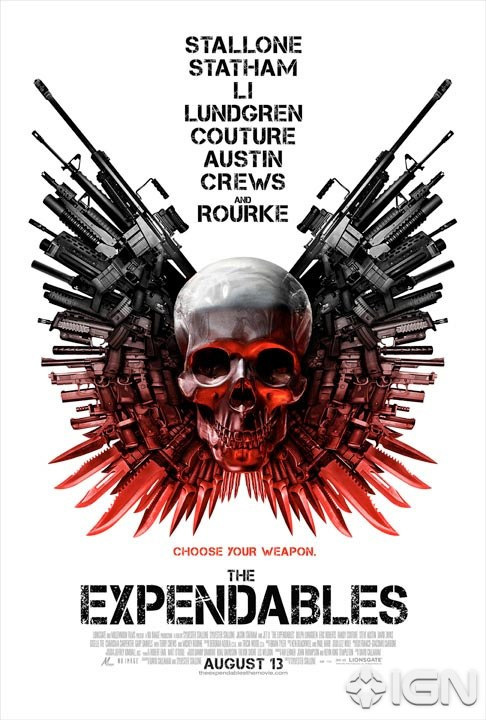 First Teaser Posters Unveiled for Stallone's The Expendables! Even more new posters! 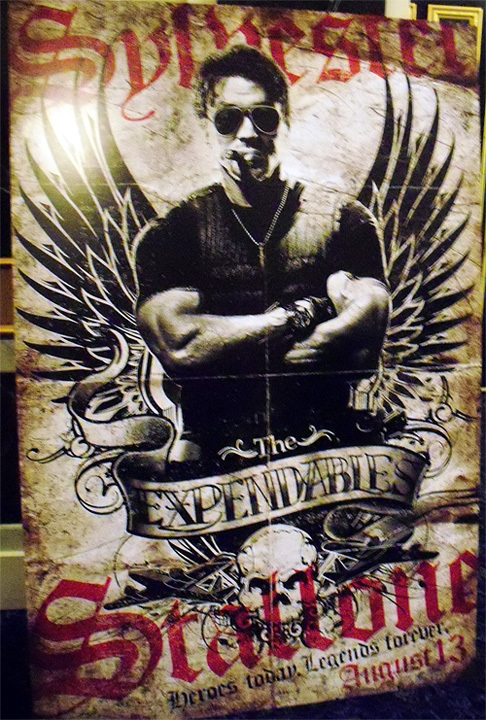 Given this is ShoWest week, we expected a whole bunch of them to arrive, but one new set of posters (we haven't seen before) that I really wanted to feature are the new official teaser posters for Sylvester Stallone's The Expendables. The first one comes from IGN and is the official teaser poster that Lionsgate just debuted for the film. The second one comes from showfloor at ShoWest and is actually a bit more badass than the first one. There are whole helluvalot of guns on the first one and a gnarly, badass Stallone on the second one. I really dig the design of these and I hope everyone else likes them, too. Dig it! This second new poster was on display at ShoWest and this photo of it comes from our friends at Collider. I love the second poster. The first one is okay. If I was still in the service I would get the first one tattoed on my back that poster is sick. The movie should be some mindless fun. Like the A-Team movie. the 2nd poster looks like a terrible Ed hardy collaboration. gross. I hope its rated R.....like the latest Rambo minus the crappy story and more ruthless gore filled killing. Seriously if its PG-13 Im not even gonna bother. I'm there. Nothin like watchin a cool actioner on a Friday night. Man I saw this movie and it was AWESOME!!!! I can't wait to go with a bunch of friends and see it again opening night!!! Dont miss this movie!! That top one is good, the bottom one is rank, a collection of bad clip art. this movie is going to be epic! Sure its cheese, but its cold blooded cool cheese. Love the throwback to 80s action. cant wait. Can't Wait to See This!!!!!!!! I like the two posters. Got to see this!!! Movie looks awesome, plus it brings back real action heroes, not these CGI morons Hollywood has been forcing us to watch. I surely had a great time watching the movie, it was extremely refreshing and a lot of movies ago i had seen such extraordinary scenes!